The Bāṭinī Movements, Secret Orders, Freemasonry, al-Ikhwān, al-Qāidah and ISIS: Part 3 - The Activities of Jamāl al-Dīn [al-Afghānī] in the Muslim Lands. 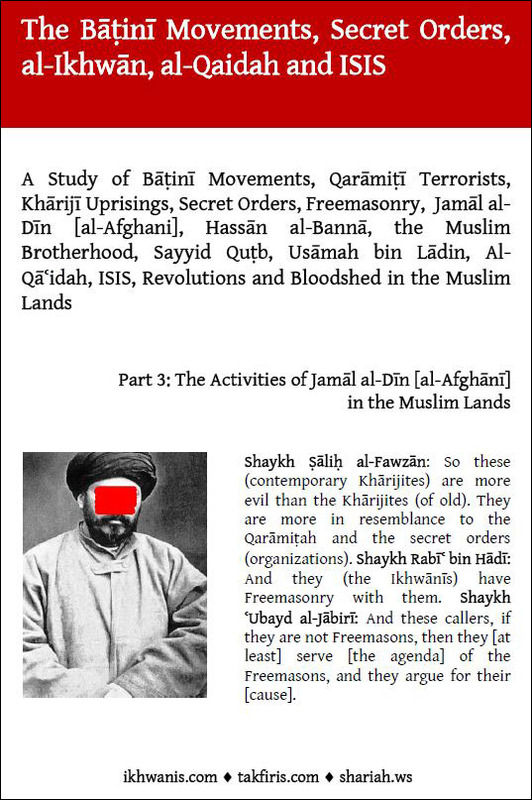 It is not possible to put the Muslim Brotherhood, Ḥasan al-Bannā, Sayyid Quṭb, the groups of Takfīr and Khārijiyyah, al-Qāʿidah and ISIS which emerged thereafter into context without looking at the person and activities of Jamāl al-Din [al-Afghānī]. Just as his alleged Islāmic activities were not really in the interests of Islām and its people, likewise, the politicized jamāʿāt which appeared in the 20th century do not actually serve Islām, its people or their lands. Download Full PDF Document.